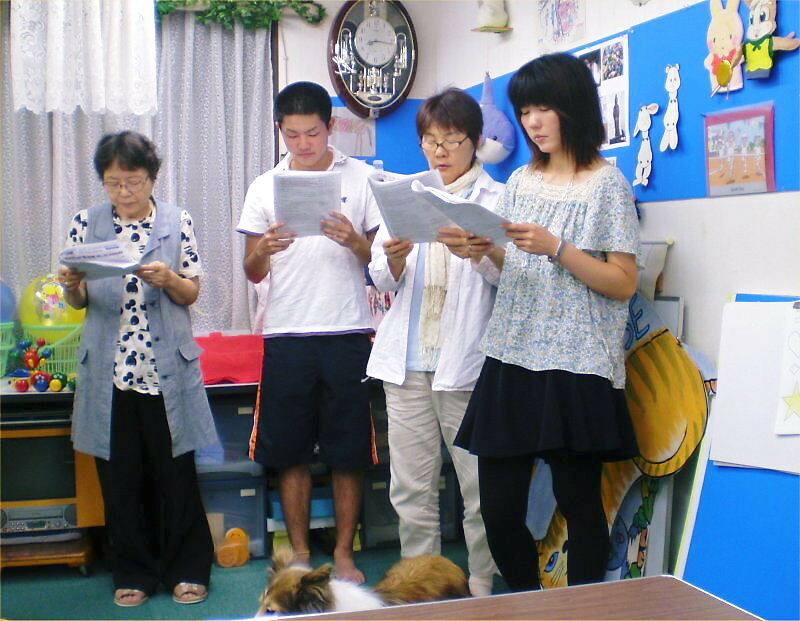 On Saturday, September 8th, we practiced “English Drama: Hane-Uma, Prancer (Revised this year)” at LL Shihoya Arai School, which was the third time. 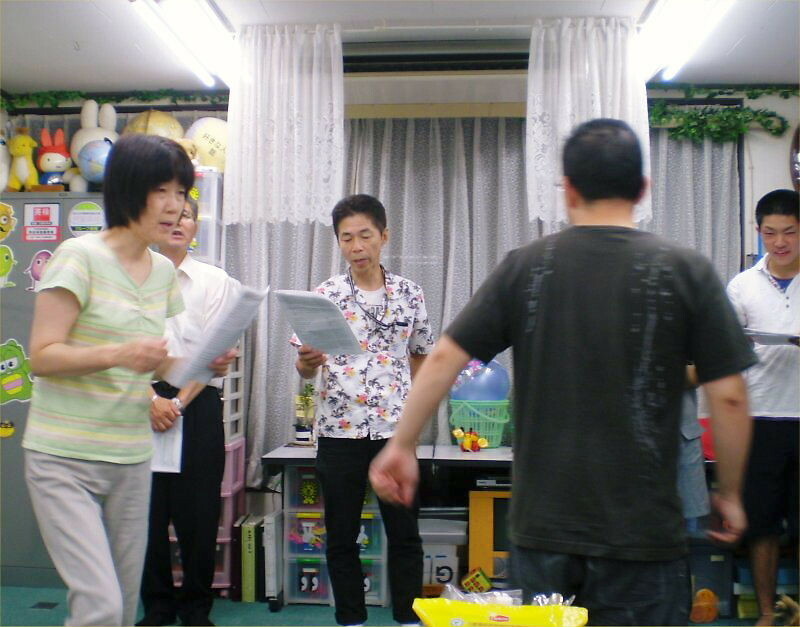 Ten cast and staff of eleven joined it and did their best for practicing. 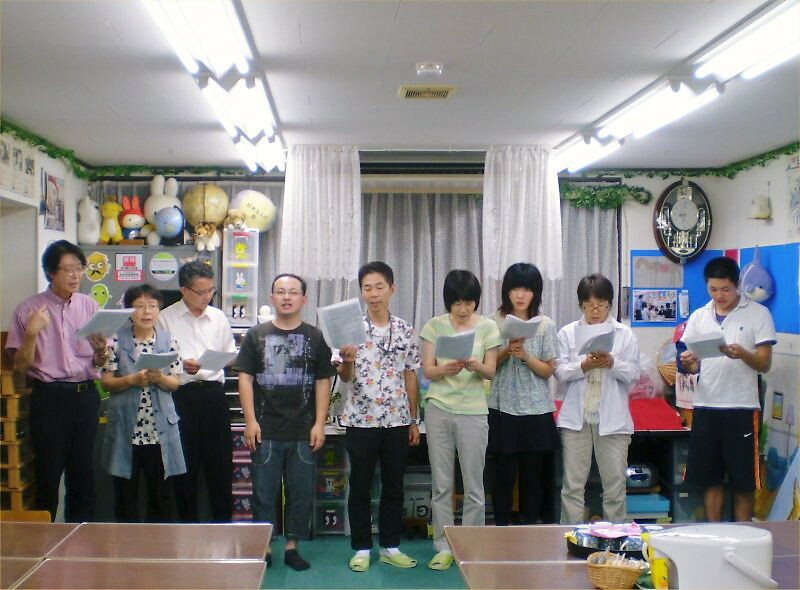 BTW, one of our advisers, Ms. Chisato Kohara is going to visit us from Tokyo to check our pronunciation in this drama on Saturday, October 13th, from 6:00 to 8:30 pm. 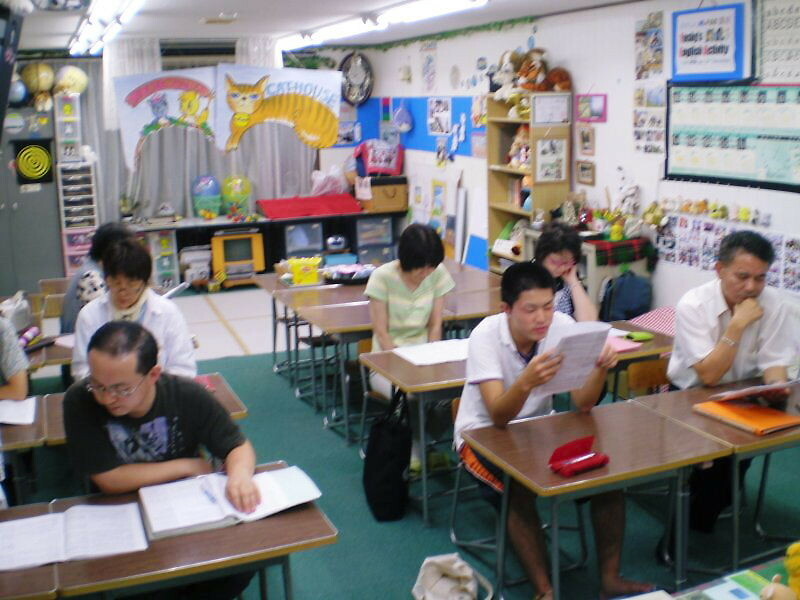 This special lesson is going to be held at LL Shihoya Arai School. 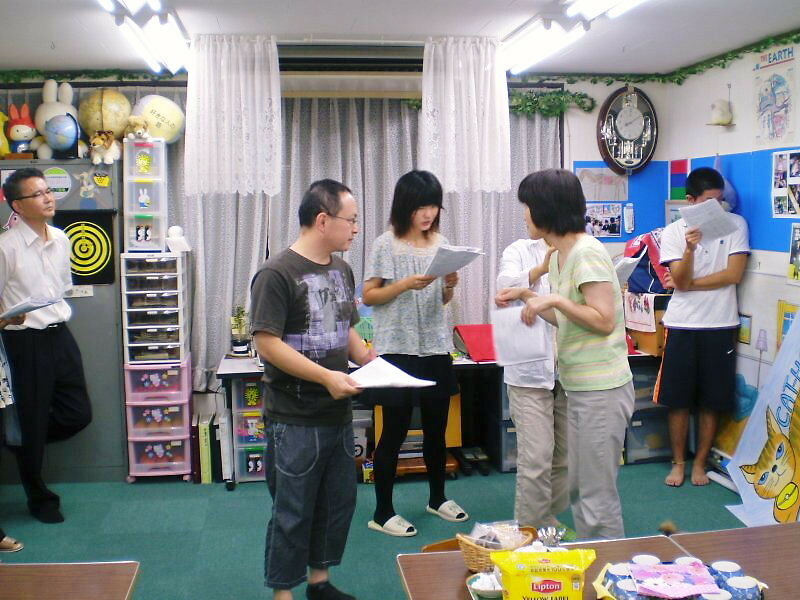 Her visit for “Teaching pronunciation of English Drama” is the third time. Ms. Kohara, thank you VERY much! The fee for the members and J/S High students is 1,000 yen and one for other adults is 1,500 yen. We’re looking forward to lots of participants joining us with a light heart. 香原先生のプロフィールは、You can read her latest profile HERE：ここを Please, crick! 「改訂版、はね馬」台本は、You can read the script of this revised Hane-Uma HERE：ここを Click, please!